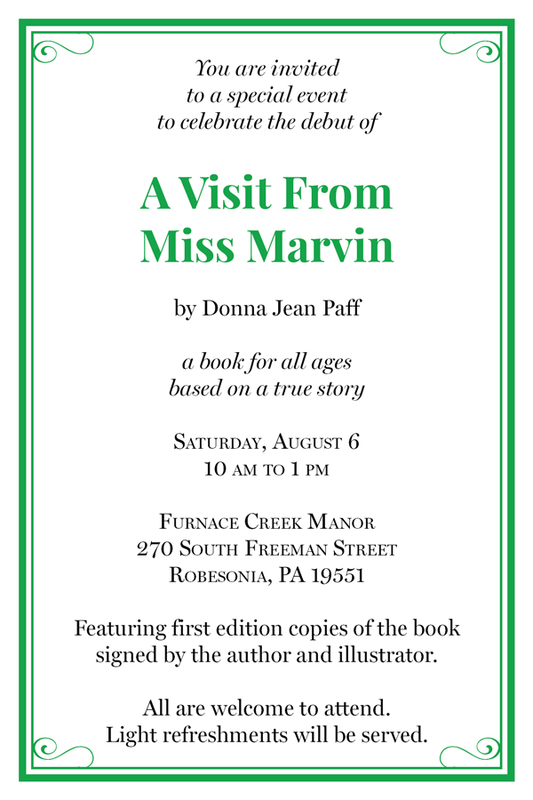 Saturday, August 6, 2016 — You are invited to a special event to celebrate the debut of A Visit From Miss Marvin by Donna Jean Paff. Featuring first edition copies of the book signed by the author and illustrator. All are welcome to attend. Light refreshments will be served. Cash sales only, please.